The screening offered to women during pregnancy provides an important opportunity for mother and baby to get a health check. 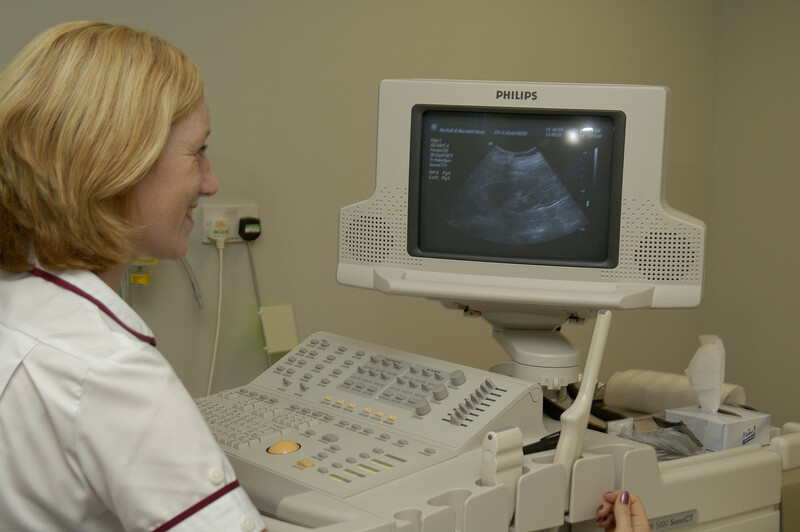 In the NHS Fetal Anomaly Screening Programme (FASP) the aim is to give women high quality information at an early stage, leading to support that will help them make crucial choices about their pregnancy. From April 2015 FASP begins the rollout of a number of updates to the programme in England, in line with changes to the 2015/16 service specifications. These changes will improve and further ensure the early, high quality information women receive. The changes include the rollout of first trimester screening for Edwards’ syndrome and Patau’s syndrome, second trimester Down’s syndrome screening for twin pregnancies and the addition of an extra cardiac ultrasound scan view. In the past both Edwards’ syndrome (T18) and Patau’s syndrome (T13) may have been identified through the 18 – 20 week scan in pregnancy (mid-pregnancy scan). By implementing screening for these conditions in the first trimester (11 – 14 week scan) those women affected can receive an earlier diagnosis. This gives these women access to support and specialist advice at an earlier stage, no matter what their decision may be about their pregnancy. First trimester screening for T18/T13 – From April 2015 the Fetal Anomaly Screening Programme recommends all eligible pregnant women in England are offered first trimester combined screening for Edwards’ syndrome (Trisomy 18/T18) and Patau's syndrome (Trisomy 13/T13) in addition to the existing Down’s syndrome (Trisomy 21/T21) screening programme. Further information for health professionals is available here. From April the small number of women who have a twin pregnancy and miss the opportunity of having first trimester screening will be able to access second trimester screening for Down’s syndrome. Although this is not as accurate as the first trimester screen, it does provide these women with a choice. Prevalence – There are likely to be between 500-1600 women with twin pregnancies in the eligible population each year who fall outside of the combined screening programme who may be offered second trimester quadruple testing. Among these, fewer than four pregnancies with Down’s syndrome would be expected. Because second trimester screening is not as accurate, those women affected will need to make a difficult decision about the next stage of screening. They will need to decide whether to have the invasive diagnostic test to confirm the diagnosis, which carries its own risks, or to continue their pregnancy without this knowledge. The second trimester offer does mean women can still have the option of accessing information and support about their twin pregnancy, despite missing the initial offer of screening. This is an interim policy to give women choice and FASP will continue to look to on-going research to inform future developments. It is hugely important that midwives and those health professionals involved in the care and advice for parents-to-be are able to discuss these issues. A great place to start is with the Screening Tests for You and Your Baby leaflet, which is now available in other languages. By detecting serious heart abnormalities during pregnancy the baby can get essential treatment at the earliest possible point, leading to better health outcomes. In order to further improve the detection of fetal cardiac anomalies, FASP has recommended inclusion of the three vessels trachea (3VT) view along with the four cardiac views currently taken at the mid-pregnancy scan. This additional view will be rolled out across England over the next 18 – 24 months supported with practical and theoretical training. Consent is a crucial aspect of any health screening process and with the fetal anomaly screening programme this is no different. Women are given a huge amount of information during pregnancy and their knowledge and understanding of what it all means may vary a great deal. It is down to the health professionals who support the women during this time to help them navigate the process and crucially, understand the implications of screening, both the benefits and the potential risks. Fetal anomaly screening is an option rather than an inevitable aspect of routine antenatal care and a number of screening training resources are available to help you facilitate these discussions with women. If you are interested in finding out more about the updated guidance, FASP will be publishing updated programme standards and handbooks on the 1 April 2015. A great blog and sets out well a number of changes and I would agree the support and guidance is needed when such an amount of information is offered. I wondered if you have in place a reflective monitoring of the impact of practical and theoretical training, in regards to the mother/family, and staff and organisation, as you state, This additional view will be rolled out across England over the next 18 – 24 months supported with practical and theoretical training."